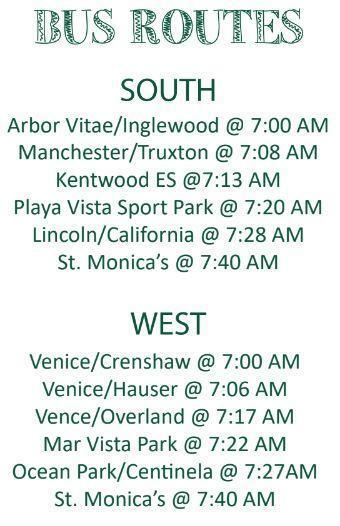 St. Monica's student bus service offers two bus routes that brings students to St. Monica Catholic High School. Afternoon departures are at 3:00 pm and 5:45 pm from campus. If you should have any questions, please contact Mrs. Young. Please click here to complete the carpool form.